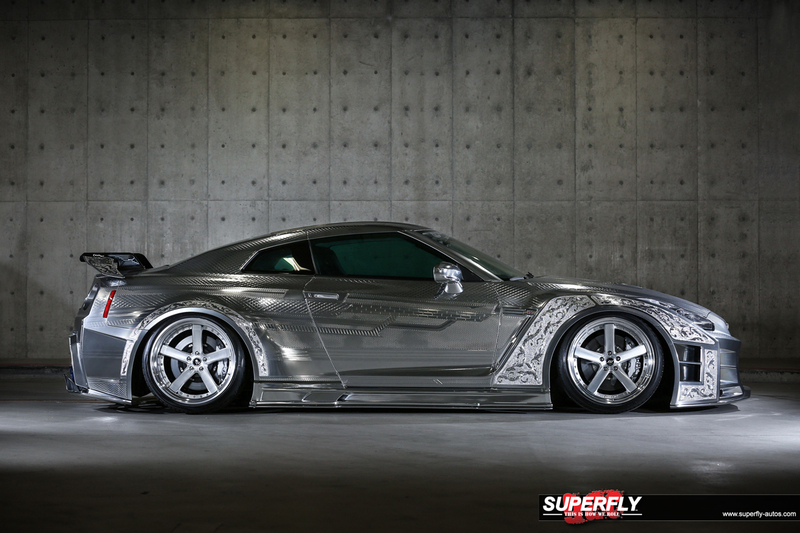 READ: THE CRAZIEST GTR YOU WILL EVER SEE! 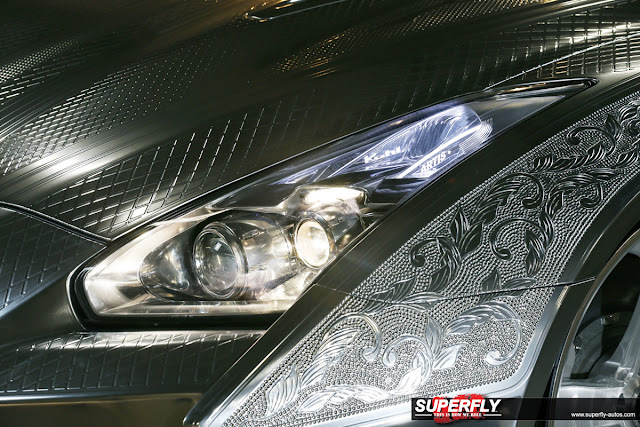 Article written by our friends at www.superfly-autos.com. You read that right, this SuperFly Nissan GTR with its Kuhl Racing armour, features 3-Dimensional metal paint! How crazy is that! When most people first saw it on the internet as photos were immerging prior to the Autosalon, to the unknown this would look like a special kind of wrap. It’s not surprising as in the last few years, the wrap game has provided us with some insane and crazy combination of finishes. However, this is no wrap and is the genuine article when it comes to paint. What I love most about this project, is the fact that two different companies, with different skill sets, got their creative heads together and voila! Produced another show winning car and one that the internet has taken by storm. Let’s begin with introducing you to the two companies involved. First is Kuhl Racing, who have been on the automotive scene since 2007, providing cars with aftermarket styling parts, to car sales and repairs. 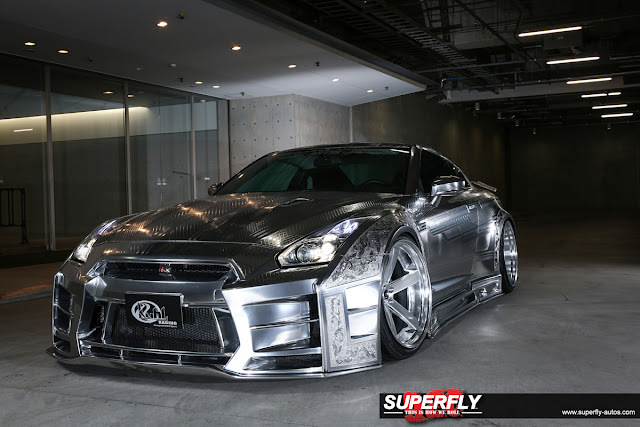 Over the years, they have been creating some of Japan’s most creative styling packages for a variety of cars and their latest kit for the R35 GTR is another success story for them. This kit provides the already street tough Nissan with added beef, thanks to those wide arches and sharp details of the entire kit. Take a glimpse at the rear and you will notice how cool and subtle that rear spoiler is. 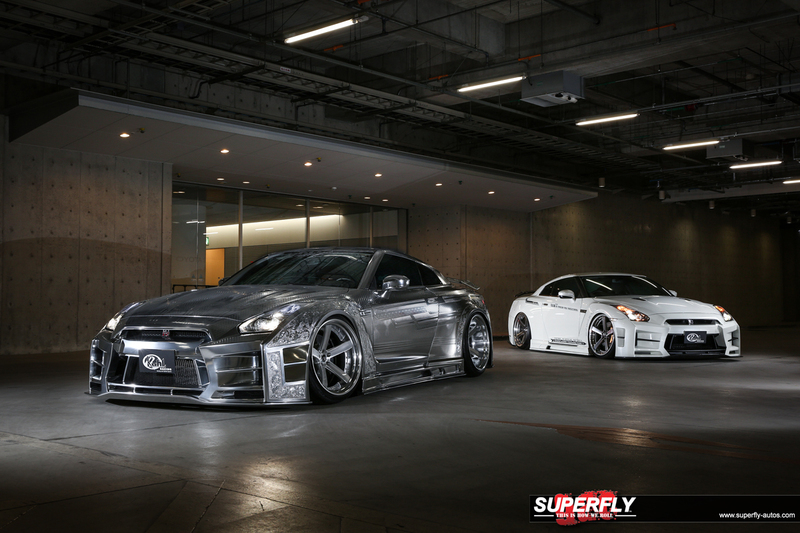 Kuhl Racing also entrusted some of the best aftermarket companies to get onboard with the project, with the likes of Works Wheels, Blitz, Love Lark and Bride, who provided the R35 with some killer additions. However, the killer modification here, is that insane 3D metal paint that has been applied. I can’t even begin to think how long it took to do, let alone the patience required for such a process. So who is responsible for this new wave of painting? His name is Takahiko Izawa from the award winning bodyshop Artis Japan. He has been awarded personally ‘Best Painter’ at the Autosalon five times and is regarded at the top of his game in Japan. So how does he create such an effect? After preparing the bodywork for the paint, he applies masking tap strip by strip to form the desired pattern. He then sprays a solid paint over the strips called Surfacer and once it becomes dry, the strips are carefully removed, leaving only the textures that were formed from the strips. Then a special metal paint from the U.S.A called Alsa Paint is sprayed over twice, but very thinly and the process is then repeated three more times, before the clear coating is applied. The result is incredible and gives that epic 3D effect. This effect is so sort after from outside Japan, that Izawa-San flights out to the country to spray the owners car! We can’t wait to see what new projects will be coming out!